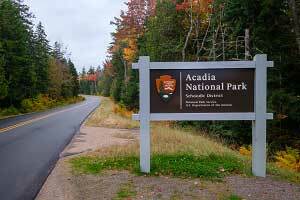 While most of the tourist action happens on Mount Desert Island, Acadia National Park has a few other designated sections in the greater downeast Maine region. 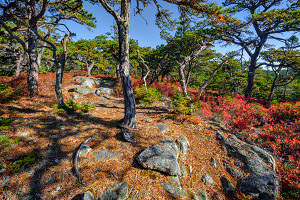 Located just to the east of MDI, the Schoodic Peninsula is the only section of the park located on the mainland. 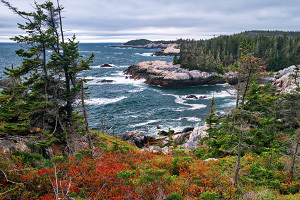 A six-mile loop road offers visitors many opportunities to pull over and enjoy the rugged granite coastline. An even more isolated section of Acadia is located on Isle au Haut, accessible via mailboat out of Stonington. Much planning, preparation, and patience are required for a successful visit to this remote island. 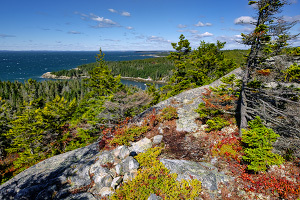 While the highlight of any visit to the Schoodic Peninsula is to visit the various scenic points along the coastline, Schoodic Head is a little inland peak surrounded by lush forest that offers muted, but still enjoyable views of the surrounding area. 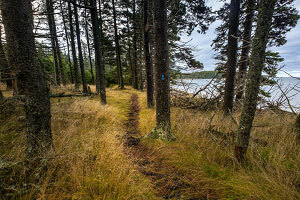 Several hiking trails and an old dirt road head to the summit from several different starting points. 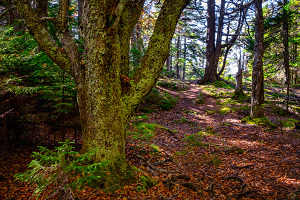 A hike along the Alder Trail, Schoodic Head Trail, and Anvil Trail makes for a nice 2.5-mile loop through diverse forest scenery. 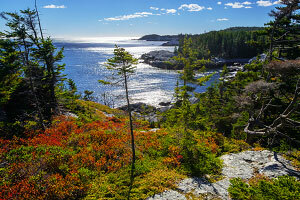 The lesser-hiked Schoodic Head East Trail is a steeper and more direct route to the summit. 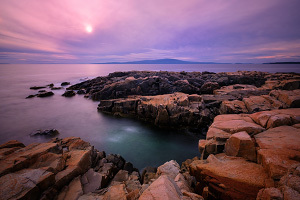 Located on the Schoodic Peninsula just north of Schoodic Point, the Schoodic Education and Research Center is a non-profit partner of Acadia National Park that supports researchers, classes, and conferences. Starting on the edge of the campus, the Sundew Trail is a lovely nature trail that heads through the thick forest to provide access to the coastline at three separate spots. This hike is an easy family stroll and may take 30-90 minutes to complete, but since the spots along the coastline are so inviting, allow more time to leisurely explore and enjoy. 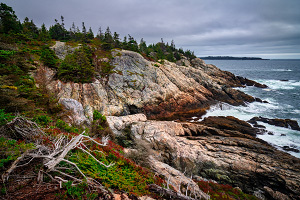 Far from the crowds of Mount Desert Island and the tourist town of Bar Harbor, a remote section of Acadia National Park can be found on the smaller island of Isle au Haut. Roughly half of Isle au Haut consists of private residences, but most of the southern part of the island is designated national park land. 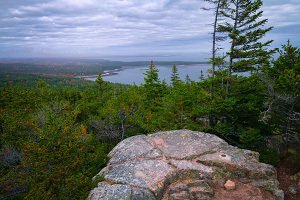 Acadia National Park on Isle au Haut is primitive with several strenuous trails that explore the rocky cliffs and coves of the coast as well as the inland forests and peaks. A visit to the island is for the lonely wandering soul who is looking to explore beautifully rugged and remote scenery without any amenities. 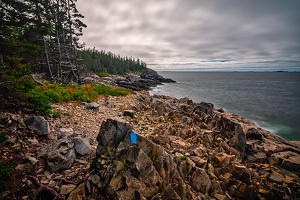 Running north to south along the western side of Isle au Haut, the Duck Harbor Trail is the main artery that connects the ranger station near town with the tourist hub of Duck Harbor, site of the seasonal boat landing and the small campground. The trail runs 3.5 miles (one-way) and although it might not be considered a destination hike, there is plenty of good scenery along the way, from the thick forests along the northern sections of the trail to the beautiful coastal views along Moores Harbor and Deep Cove. Rating: shorter moderately strenuous hike.